Our luxurious tropical rental villa right in Sosua is a charmer. This spacious villa has 6 large bedrooms with 6 full bathrooms throughout the villa for you and your guests convenience. "Imagine yourself relaxing in ultimate bliss as a warm breeze moves your hair and the sun kisses your cheeks as you relax besides your own private pool in the heart of Sosua. Your dreams can come true! Our luxurious tropical rental villa right in Sosua is a charmer. This spacious villa has 6 large bedrooms with 6 full bathrooms throughout the villa for you and your guests convenience. Within the villa youll also find a recently remodeled kitchen with fine granite countertops and tile accents for an overall modern look and feel. High end appliances and a fully stocked kitchen allow for easy meals and entertaining.Step outside into the warm, sunny air and you will be greeted by an endless infinity style pool. 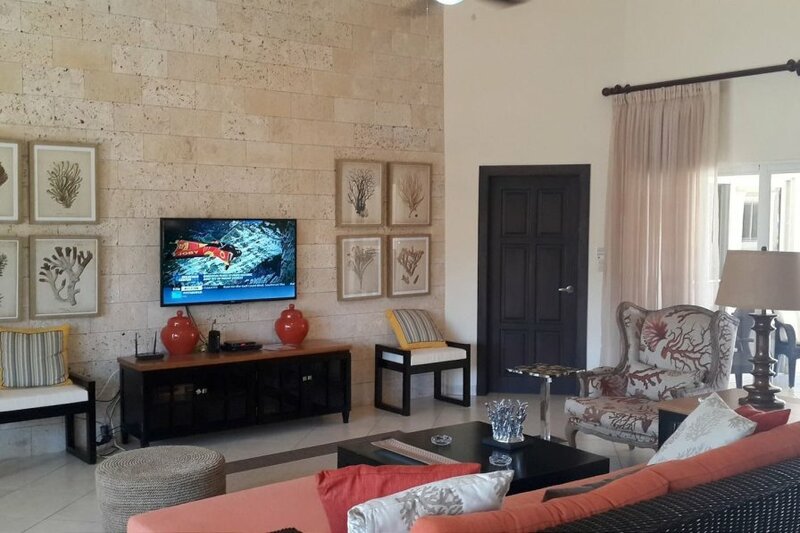 Sosua luxury rental villa can be yours for an affordable price per night. Ensure the villa you have your eye on will be yours by booking early! Popular travel dates always fill up in advance. Added amenities include Wifi throughout the property to catch up with friends and family back at home and on site washer and dryer. Optional maid service is available on a daily basis. Make a Sosua luxury villa your own for your next vacation!"